← What drives the economics of networks? Metaphors are important, and the wrong metaphor can take us in wrong directions. The fact that something has been chosen as a metaphor means that it is a more vibrant, familiar and/or immediate depiction of a more abstract or complex idea. Consequently, we can easily find ourselves doing our thinking using the metaphor as a reference point. So the repetitive description of networks as ‘pipes’ increasingly freaks me out! Why? Because the techno-economic characteristics of plumbing are very different from those of networking! What is the right metaphor for networking? Now, you may be wondering whether I am just being pedantic. Perhaps I am the kind of person who obsesses about putting apostrophes in the right place and so on? Well, actually I am ! – but the point here is that if we can find the right metaphor for networking we can think more carefully about the ‘space’ layer of FASP4 and find the right models for the industry. So let’s review a few possible options for thinking about broadband, and look at the characteristics of each. 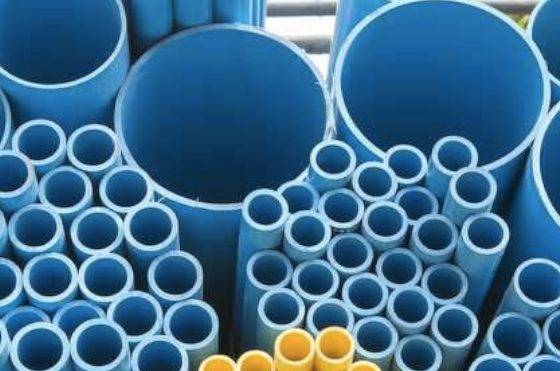 Pipes are transmission systems for a single, uniform, product. There is a constant pressure maintained in the system, which is broadly achieved by ensuring a constant system volume. In order words, you pump in new supply at one end as users consume at the other. Because the product is always the same, latency (time in pipes) is irrelevant. You don’t worry about how long the gas lighting your oven has been sitting in the pipe, or how long ago your toilet flush was sitting in the reservoir. Dumb pipe indeed. Wires deliver a uniform product (electrical energy) like pipes; but unlike pipes, wires are zero-delay systems. Furthermore, you don’t store electricity in wires, so any user demand must be satisfied by instantaneous generation. As we know, this makes the supply side of the power industry extremely complex, with cheap constant sources of power providing a base level of supply, and more agile power sources charging more to cover the peaks (famously, in the UK, when the nation’s favourite soap opera ends and millions of kettles are put on at once!) If you generate too much electricity you tend to do things like pump water up a mountainside so as to be able to generate hydro-electric power at a later date. Electricity comes with a certain defined ‘pressure’ (voltage) and you can draw a certain maximum throughput (current) based on your contract and wiring setup. A dumb pipe? Kind of – but not really a pipe. Telecoms networks deliver unique products (packets), unlike pipes and wires. When you make a network request, you don’t want just any old packet – you want precisely the packets you asked for! Unlike pipes, latency matters. You can’t pump a load of packets into your network and wait for a customer to ‘need some packets’. And unlike wires, there is latency. What networks do have in common with pipes and wires is the nation of loss. But the impact is entirely different in networking. If a pipe leaks, it results in waste but that’s all – you can just turn up the pressure a bit. Line loss in electrical grids is factored in to the power initially generated. But telecom is all about copying information, not moving it, so packet loss results in a new network request being made for that unique missing packet. Which impacts latency and overall throughput. So telecom players might not play in the services layer, and they might sometimes be dumb (!) but it doesn’t make them dumb pipes. So what is the right metaphor for networking? There could be several, but roads and the postal service are reasonable candidates. Like networks, roads permit the movement of unique products (vehicles), each with a unique journey. Different routes can have different “bandwidths” (speed limits)… but often congestion is the limiting factor on journey times. Increasing bandwidth through adding lanes ends up stimulating more traffic until congestion returns to breaking point again. Sounds a lot like telecoms? It’s not a bad analogy, and raises questions like why do we have competing broadband networks when we don’t have competing parallel road networks. I think the reason here is practical (lack of space to build different roadways) and to do with technological innovation. A monopoly network owner is never going to be incentivised to use technical developments to improve end-user outcomes as much as in a competitive market. Like networks, the post office delivers unique products. Every package is different. Like networks, the users of the post office are concerned about delivery time. So latency counts. Now there are some limitations with the post office analogy. 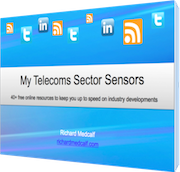 For example, the notion of “sender” and “recipient” is blurred in telecoms, with many interactions in both directions in a single “information transaction”. And there are often multiple locations involved, such as a web page or app drawing upon information from multiple dispersed services and servers. However, it gets a lot closer to the heart of networking economics than a pipe analogy. The problem with thinking of yourself as a pipe business is that you voluntarily decide that everything you transport is identical, or at least of equal value. A drop of water is like any other. But is a Byte of data like any other? If the post office thought of themselves as a pipe business, what might they decide? But post office pricing is based on weight (a volume proxy), distance (national/international), and delivery time (latency). You can pay extra for recorded delivery, or insure against loss. There are models allowing either sender or recipient to pay. These seem eminently reasonable pricing dimensions given the characteristics of their business. There is no big debate over ‘post neutrality’, but there are a variety of product options (price/quality points) available to all. In the case of broadband, we are still stuck with either peak-rate or simple volume-based pricing models. People will say that the market has spoken. And the sector has always had its share of technology upgrades or new entrants resulting in players with empty networks keen to dump on pricing to fill their infrastructure. But how much effort has really gone into broadband marketing broadband beyond simple sloganeering (ALL YOU CAN EAT!! UP TO 100Mbps!!)? When you think of yourself as a pipe – dumb or not – it’s hardly surprising that you come up with pipe-like pricing. If you think you’re a dog, you start to bark. The dumb pipe term has outlived its usefulness. Finding the right metaphor is a simple way to changing the conversation. What is your preferred metaphor for broadband networking? Why? I would go further and say that dumb is a poor expression too! The reality is that layer 1 (physical) is very complex. We can constantly improve on how it is built, implemented, operated, etc… Materials and engineering are constantly improving to allow for completely different and new forms of transit. And let’s not forget the day we’ll want and demand redundancy and security everywhere. So why limit ourselves to one system, especially when we have wireless? We are at the early stages of understanding the complexity and richness of communication networks. Most importantly, they can be 1-way or 2-way, they can be real-time or near-real-time or store-and-forward, they can be synchronous or asynchronous, etc… None of the utilities you cite can handle this diversity and richness. The bottom line is there is no need, particularly with today’s digital wired and wireless networks, to limit ourselves as to the potential of new virtual economies. We need far better analysis of the impacts of network effects at every layer and how interconnection and settlements can increase consumption and capacity utilization and improve the velocity of investment. We need to better understand how marginal supply and demand can clear efficiently. In the process we’ll probably find that networks resemble the human body more than they resemble the road system. And finally, we’ll understand that the folks who coined the expression at the old MaBell were truly the dumb ones. Unfortunately there were many who rebelled from the old, ossified PSTN mentality, but also got it terribly wrong in the process.